What Does It Feel Like Being Autistic ? World Autism Awareness Week 2018 (26th March to 2nd April) is fast approaching. It is the time of the year when we could celebrate and participate in raising autism awareness and understanding among families, relatives, friends and the public as a whole. We can do our share by participating in any events and charities all over the world. It could be in the form of a bake sale, doing a fun run, night walks, selling autism awareness T-shirts, and fancy accessories. If you are a teacher or a person who works in schools, you could raise autism awareness and understanding by teaching the children about Autism and how they could help a person with autism. You could use this useful resource to help you. You could also have a non-uniform day and wear anything with blue or perhaps wear a onesie. This would be a fun and exciting day for the children to participate in. 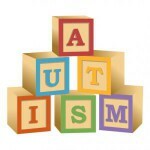 This year I decided to participate in raising autism awareness by participating in parent online forums and answering online questions related to Autism in Quora. It gives me utmost joy every time I answer questions to help a parent of a person with Autism. I also feel a sense of fulfilment knowing I was able to help them when they reply back to me and thank me for answering their questions. If you are affected with autism, don’t be afraid to stand up and be heard. You have to tell the world what a wonderful person you are. That the world should accept you as who you are and not as a person with a disability. Each and every one of us is unique which has the same meaning as different. Being different should not be a disadvantage but an advantage for you to tell the whole world that you are a person endowed with a special ability or talent. A special ability that if given the chance to improve and practice might contribute to today’s society. Who knows you might change this world for the better! If you are a parent of an autistic child, you can do your share by showing your support and love that you give to your child. Take your child to a family day out by going to parks, museums, cinema, watching autism-friendly theatre plays, going to theme parks and buying something that your child will love. These are ways of celebrating and raising awareness that a child with autism needs love and support. If you are a relative or a friend of a person affected by autism, you can help raise awareness for the love and support that you will give to him and his family. You need to give your share by standing up for autism this World Autism Awareness Week 2018. If you live in the UK, you can support the campaign by NAS to get everyone to understand Autism by clicking here. Watch the film below and experience yourself on how a person with autism behaves for having too much sensory overload. It would be good to understand how hard it is for them to hear too many noises all at once. We should understand how they feel by putting our world into their world. I sincerely hope this article has helped you in some way. Let me also hear from you by sharing your experience with raising autism awareness and understanding this World Autism Awareness Week 2018. You are doing something so wonderful here by bringing awareness to others regarding autism! I especially appreciate that you encourage those who are touched by autism to get out into the community. I know several families who have children on the autism spectrum and they all speak of how alone they feel in that respect, and how hard it is for them to find understanding in others. Good luck on your mission! Thank you, Lennae, for your kind words of appreciation. I honestly feel that they have something to contribute to this world and I want to stand up for them by raising Autism Awareness and Understanding. This is my advocacy and my mission that I have to fulfill. I would love if you considered sharing this, Adel. April is Autism Awareness Month and it also happens to be my son’s birthday month. Cash will be turning 13! Instead of presents, he would very much like it if we could send kids just like him to The Autism Society of NC’s, Camp Royall. This amazing overnight autism camp costs $1700 for one week and if it weren’t for the kindness of others and our awarded scholarship, Cash would have never learned what it was like to be surrounded in such a loving and nurturing environment where he is the norm – and not the oddball out. It has elevated and enriched my son and countless others. Also, he has a facebook page called Cash B For Change where we will be updating. It was originally created when he solicited letters from people for his 10th birthday, to send to Dan Cathy of Chick-fil-a, to challenge their views of our LGBTQ community. You’re really gonna like this kid. Please consider helping Cash fulfill his birthday wish and share this campaign if you feel moved to. It takes a special person to have the patience and the compassion to cater to the needs of children with Autism. I think it’s really commendable. I have special admiration for those families dealing with children with autism. These parents and family members seem to have an extra measure of patience and love that many of us on the outside are amazed at. I just saw a news article that LegoLand in Florida was making its park autism friendly. They had created several quiet rooms for use where the autistic child could go and recompose/rejuvenate in a quiet atmosphere to temporary get away from all the stimulation outside. Thank you for the compliment. It’s great to hear that Legoland Florida is making its park autism friendly. This is a great and fun way for the family to bond with their child with autism this World Autism Awareness Week. This video is a great representation of the hypersensitive aspect of an autistic person. I will keep in mind that representation. A friend of mine has two great autistic kids. One of them, has most of the time, a headset with music on his head when he travels outside the home. When he comes back to his home, he removes almost all his clothes and he goes to his bedroom, which is a positive sensorial environment for the kid. It helps him to relax. Thank you for visiting. Yes, we should raise awareness to be public that Autism is not a disability but a special gift or difference. They see things differently to us and we need to accept and understand them as they are by allowing ourselves to come into their world. By doing so, we will be able to see the beauty of their world and understand them well. Adel is a Registered Nurse who has a son on the autistic spectrum. 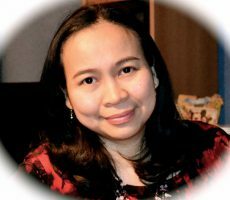 She is the founder and author of this website whose primary aim is to help parents cope with raising their autistic child and to promote autism awareness and understanding. Copyright © 2019 Living With An Autistic Child. All rights reserved.